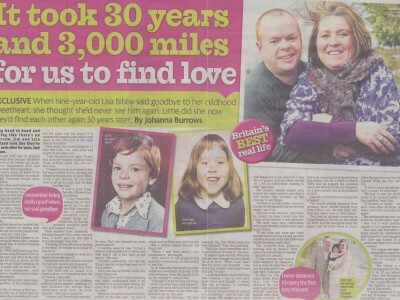 I Waited 30 Years And Travelled 3,000 Miles To Wed My Childhood Sweetheart! Lisa, 40, always thought of her first boyfriend Jim when she spotted red-heads. Thirty years after losing touch, Facebook reunited the couple and Jim decided he would marry Lisa after their first meeting…..